The C4 Cactus -- with its so-called Airbumps and thin running lights -- has signaled the start of Citroen's ambitious transformation plan. PARIS (Bloomberg) -- Time was, Citroen oozed elegance and quirky charm: The French automaker's low-slung DS was the preferred ride of movie stars cruising the Riviera, while the bug-eyed 2CV rivaled its German cousin, the VW Beetle, in cuteness. But after Peugeot bought Citroen in 1976, the DS line was closed and the brand's identity eroded. Cheap plastic replaced chrome and leather, the 2CV grew too outdated to sell, and the brand's allure gave way to ho-hum wagons and sedans that lacked the panache of their ancestors. 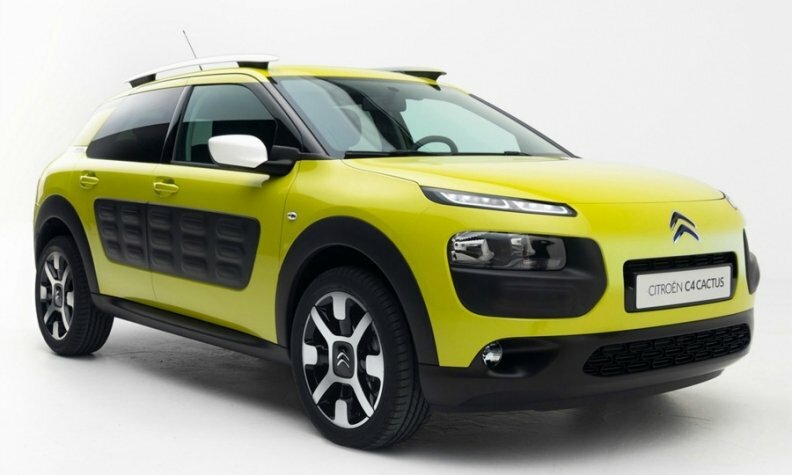 Enter the C4 Cactus. When Citroen two years ago introduced the compact sport utility vehicle featuring bump-proof plastic side panels, squinty running lights and a panorama sunroof, the car quickly rekindled some of the bygone spark and became one of the automaker's best-sellers. The vehicle also signaled the start of an ambitious transformation plan calling for new models that take their cues from the Cactus, said Linda Jackson, the brand chief spearheading the revival. Citroen has new products lined up through 2023. The goal is design that's somewhere "between different and bizarre," Jackson, 57, said at her office near the Arc de Triomphe in Paris. "If you look in the mainstream, an awful lot of the cars are the same." Citroen's revival took on even more importance for parent company PSA Group after the UK's vote to leave the European Union. The resulting economic fallout will probably drive down British car sales, affecting demand across the region. PSA, which is reliant on Europe for the bulk of its sales, is the carmaker most exposed and faces a 21 percent plunge in its earnings next year as a result, according to Evercore ISI estimates. Doomed nameplates such as Saab and Pontiac show the pitfalls of allowing a car brand to lose its way in an age of stiff global competition. PSA further complicated the undertaking by carving out upmarket cars, under the revived DS line, in a separate unit last year. DS used to be a Citroen subbrand. The move left Citroen struggling to redefine its identity with a jumbled lineup ranging from an electric beach buggy called the e-Mehari to bulky minivans to the luxurious C6 sedan unveiled for the Chinese market in April. "You can't roll out a more expensive, better-looking car if all the other ones around are oddly shaped cheap ones," said Shaun Rein, managing director of China Market Research Group in Shanghai. The biggest test of Citroen's revival will be a new version of the C3 hatchback -- traditionally Citroen's top-selling model -- to be unveiled Wednesday in Lyon, France. The car's design will reveal how aggressive the revamp is and whether the restyling is enough to make Citroen's offerings more competitive against VW, Ford and Hyundai. In its heyday, Citroen was about engineering, not just looks. The DS 19, introduced in 1955, was the first car with independent brake systems for its front and rear wheels and the first mass-produced vehicle with hydropneumatic suspension, which improved comfort and handling by keeping the car at a constant height above the ground. Philosopher Roland Barthes described the car, pronounced in French as "Deesse," or goddess, as "humanized art." While PSA has built fuel-efficient and affordable cars, it hasn't made an industry-changing breakthrough in recent decades. For example, PSA cars with autonomous capabilities have spent about 50,000km (32,000 miles) on the road, a fraction of the 1.5 million miles for Google's self-driving vehicles. Mercedes-Benz and Volvo already offer a stop-and-go pilot to steer through slow highway traffic, while General Motors pioneered hands-free calling and navigation with OnStar. The cutbacks that came once Peugeot bought the company saved costs but led to competition for similar customers as the two brands sold nearly identical vehicles. The Citroen C1 and Peugeot 108, for example, cost the same in France, have the same engine and gas mileage and are made in the same Czech factory. "The problem with Citroen is nobody knows exactly what its positioning is compared to the Peugeot brand," said Bertrand Rakoto, an automotive consultant who advises manufacturers in Paris and Detroit on marketing strategy. With their muddled identities, the combined global sales of Peugeot and Citroen will probably drop about 5 percent by 2019 compared with 6 percent growth at scandal-scarred Volkswagen Group and a 34 percent surge at French rival Renault, researcher IHS Automotive predicts. To reverse that trend, PSA CEO Carlos Tavares needs Jackson's plan for Citroen to work. While Tavares has stabilized operations since a bailout two years ago by the French government and Chinese manufacturer Dongfeng Motor, he's now pushing for growth. In April, he said he intends to boost revenue 25 percent by 2021 with 26 new models from Peugeot, DS and a once-again-quirky Citroen. Said Jackson: "What we want to get to is that when you go on the road and see a whole row of cars, you immediately know that it's a Citroen."